Not the most enticing title to make you want to read, but I promise, it is worth it! Yesterday, I attended a technology "UNconference" called Edcampsa. This was right up there with attending ISTE! Only, all in one day! Tons of ideas and fabulous networking with other educators. An UNconference is where you show up with no sessions planned! Crazy, right? It is a facilitated, participant driven conference centered on a theme. This theme being - technology. The participants plan the whole thing, with the help of the hosts. It was amazing to watch the whole conference develop before our eyes. 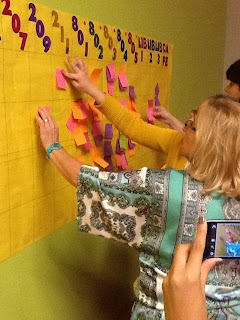 You can click on this link for a great video about an UNconference. Many thanks to Dr. Roland Rios from Cyber Cafe and Miguel Guhlin from Around the Corner for helping pull this whole thing together, as well as the other hosts. Fabulous prizes by fabulous sponsors! Soon, I'll post on my win! Augmented reality was my sticky note. I was so glad others were interested in learning more about augmented reality. I had only dabbled with it, never really dove into learning about AR in the classroom. Here is what the final schedule looked like after some tweaking. Guess what was the first session?!! It is a technology that overlays digital information on top of real-world surroundings viewed through a smart phone or handheld device. Ok, so maybe the definition sounds a bit much. I promise it's not. First, is the super cool, ZooBurst. 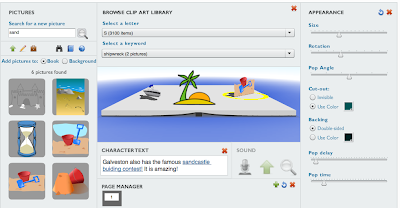 ZooBust is a digital storytelling site that allows you to create 3-D books. They will even float around on your screen! Yes, I said, float around on your screen! Super fun! Downside-only able to create 10 books. iPad app available. 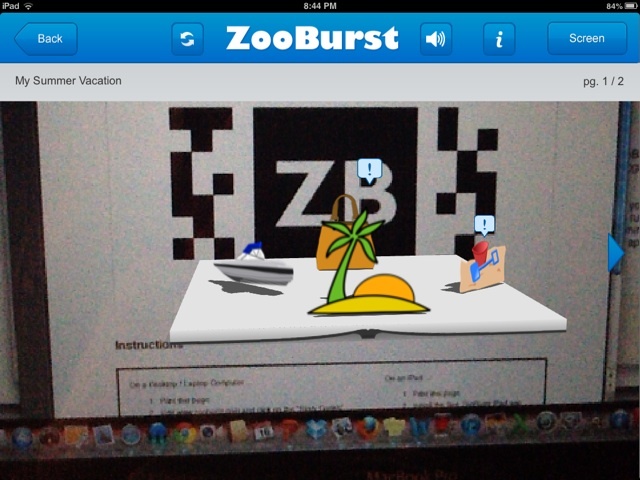 With the ZooBurst iPad app you can also “scan” for special “Story Codes” that let you easily attach a ZooBurst book onto any physical item, such as a class bulletin board, parent newsletter or a printed textbook. I showed my daughter, she's 10 years old, and let her explore the site. Here is the book she created! Cool part, it is password protected! Click on the book and then type in hawk5 to see the book. Spin the book, click on the graphics to see what she wrote, tilt the book, and enjoy! It is pretty simple to use. 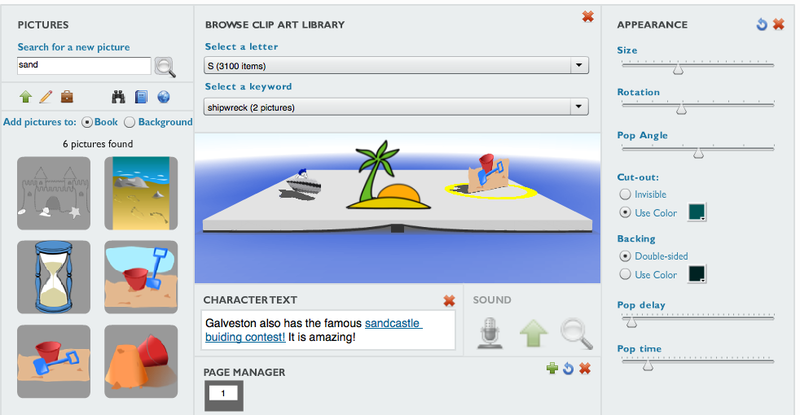 The only thing I showed my daughter was how to create the hyperlink. Here is the really coooooool part!!!!!! 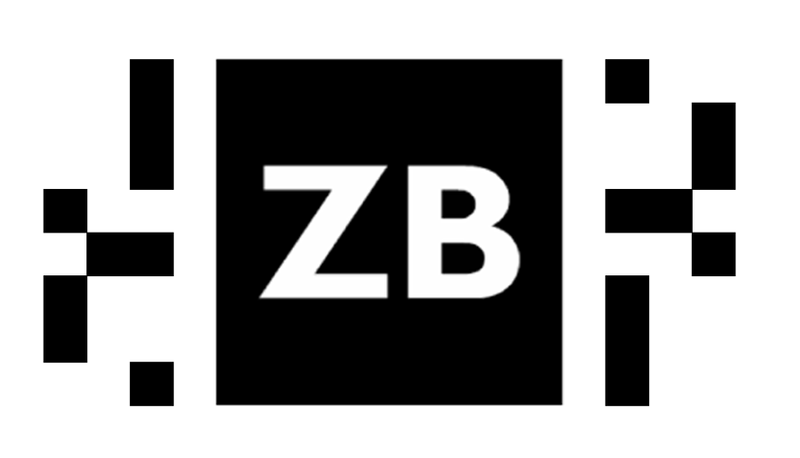 If you have an iPad, you will need to download the app, go to the story, click on camera and hold the iPad up to the ZB code below. 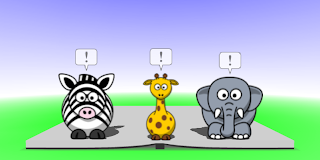 Watch the story float around on your screen!!! 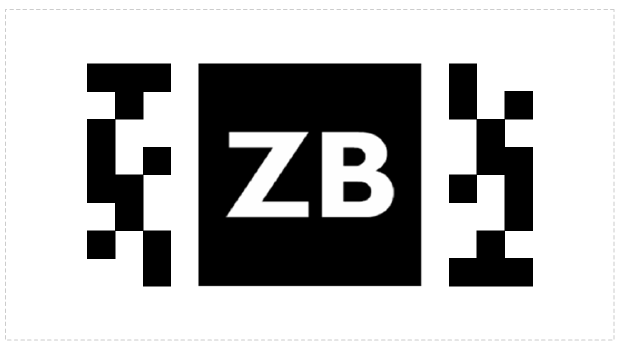 You can even print this ZB code, post it somewhere in your classroom and allow students to scan it. You can also print the code and hold it up to a desktop camera. 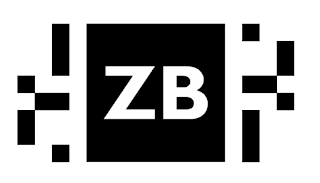 Unfortunately, the ZB code comes with the premium account. Yep, that's the book floating around on my iPad! 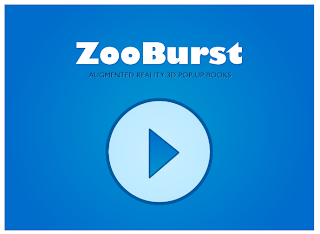 I found a very informative You Tube video that walks you through creating a Zooburst 3-D story! Check back tomorrow for another way to create augmented reality with your students. 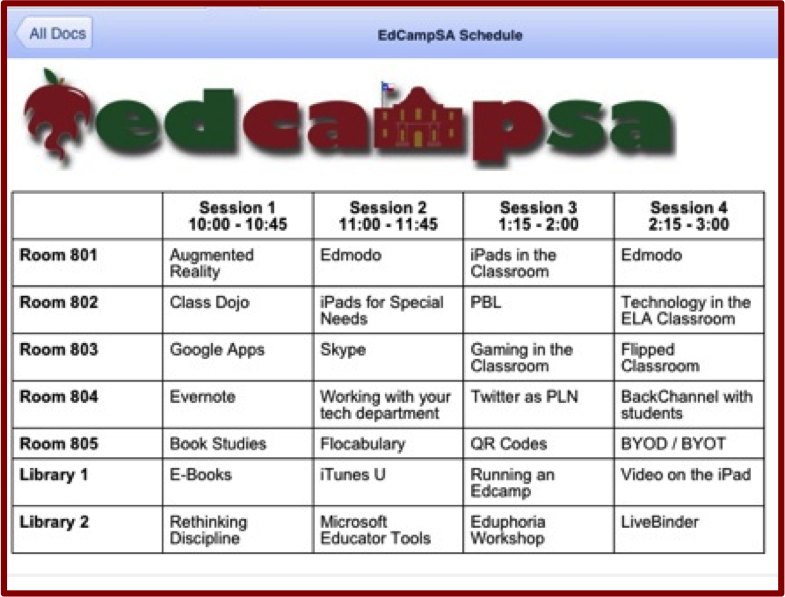 I just signed up for EdCamp here in SC and am soooo excited!!! Glad you liked it. Is Augmented Reality just for Ipads? We have Chromebooks - sigh - so many great apps on Ipads. EdCamp was so fun! Crazy experience! I wasn't sure how it was all going to come together. Can't wait to hear about your experience and how they set up their EdCamp. Let me know! The Adobe Flash Player plugin version 10 or higher.